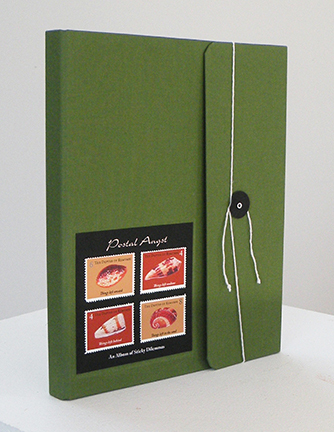 Archival inkjet printed artist’s book on rag paper, concertina binding with cloth hardbound covers. Postal Angst is an artist’s book comprised of constructed stamps, meant to resemble a stamp album. 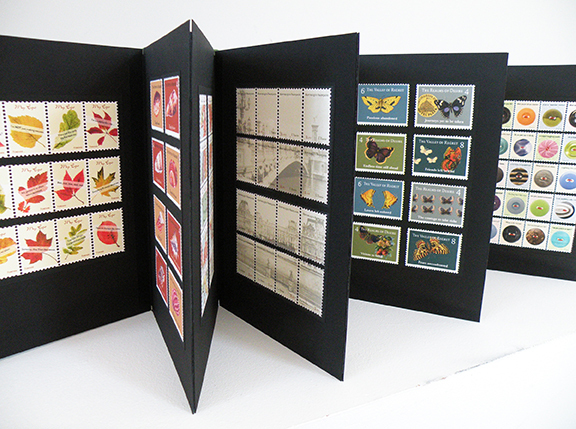 I’ve always loved the visual iconography of postage stamps, which to me, speak of connection, communication, travel, and adventure. When longing, regret, remorse, and other metal dross emerges as part of cherished iconography (like these faux postage stamps), my “problems” are quickly put into perspective, melancholy is swept away, and I’m able to laugh with (and at) myself.